After engaged to Prince Harry, Meghan Markle seeks self defense training from Micheal Jackson’s ex-bodyguard Matt Fiddes. To-be bride of London’s Royal family, Meghan Markle, is already considering to take some self defense lesson. She have hired a celebrity trainer who was earlier MJ’s bodyguard, Matt Fiddes. It looks like Meghan is considering to take some self protection lessons to deal with stalkers. According to royal sources, Meghan have hired Matt Fiddes to teach her martial arts and self-defense. While, few others say she got to get in shape before the Big day of her life. Matt Fiddes has the largest martial arts franchise. He have given lesson to Hollywood’s popular celebrities including Tom Cruise. Matt is British original who has close knit with Royal’s from the time when Mj and Princess Diana were close. Currently, Meghan Markle is in LA to spend some quality time with her mom. Matt too have booked an immediate flight to LA, which means training could begin STAT. 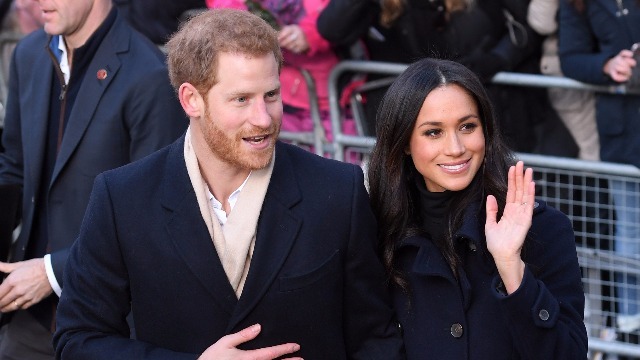 Meghan Markle and Prince Harry got engaged on 27 Nov. The couple will get married in May 2018 in St George’s Chapel at Windsor Castle. Previous : Anushka Sharma -Virat Kohli Italy Wedding: Family and A Priest Flew To Italy, Are They Getting Married?